Site is under construction please be patient as we add more items and make it easier to find things. Welcome to the IPABRA Tack Library. This site will list the items we have in our library that are available to check out. If you are not a member, please click here for more information on how to join. 1. All borrowers must be current, paid IPABRA members. 2. Borrower will be responsible for the cost of postage both ways, and shall use some form of postal tracking. Insurance is needed for saddles or costumes if the value is deemed to be $100.00 or greater. 3. Only one item/set at a time will be lent. 4. Borrower must return that item before being shipped anything else. There will be a time period allowed for use of the tack. Tack must be returned within that time period. Anyone who fails to return tack on time will be on probation, and two incidences of failure to return timely will result in suspension of borrowing privileges. 5. Borrower must use reasonable care and caution when using the tack and or props. 6. 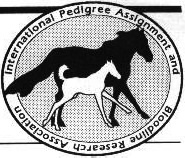 There shall be no permanent alterations made to the tack or prop without approval from Randa Garrett. 7. Borrower must not smoke, eat or drink while using the tack and or props. 8. Care should be taken to keep tack away from possible allergens as much as is reasonable. 9. Borrower must not leave the tack outdoors after using it. 10. Tack and/or props should be kept out of reach of puppies, kittens and children. 11. The tack borrowed should not be stretched if it isn't large enough to fit. Try to borrow a larger size instead. 12. Sticky wax can be used.